New iDOLM@STER Arcade game - The iDOLM@STER: LIVE in SLOT! Re: New iDOLM@STER Arcade game - The iDOLM@STER: LIVE in SLOT! The song's so catchy. I can't get it out of my head, haha. It certainly is different. I wonder what the lyrics are... hopefully nothing creepy like "Play pachinko until your wallet runs dry!" I still think the combination of Namco Bandai and pachinko is a match made in hell. Scammy/Sammy knows how to take your money away so this is one hell of a dangerous combination. LOL I have to admit this made me chuckle. I feel sorry for the Japanese idolm@ster fans...at least my wallet is safe in the states. at least my wallet is safe in the states. I'm starting to feel like mine's not. 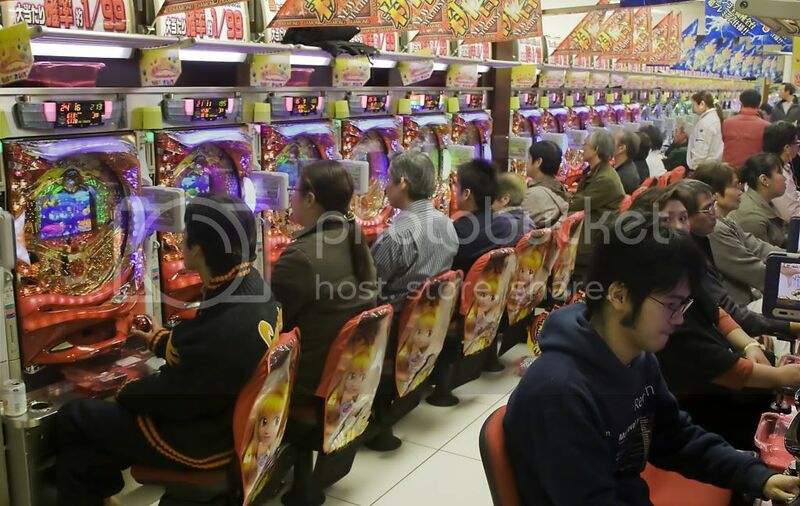 Yeah the pachi-slot games are dead serious in Japan. The machines are everywhere, they bring in tons of money, so this will be a high-profile investment. Just look at the Pachi-slot Resident Evil movies they made JUST FOR PACHINKO ONLY! The image of a guilty guy walking sheepishly into a room while making excuses for being late and then a certain number of metal balls roll out from his pant legs is like a classic image now. 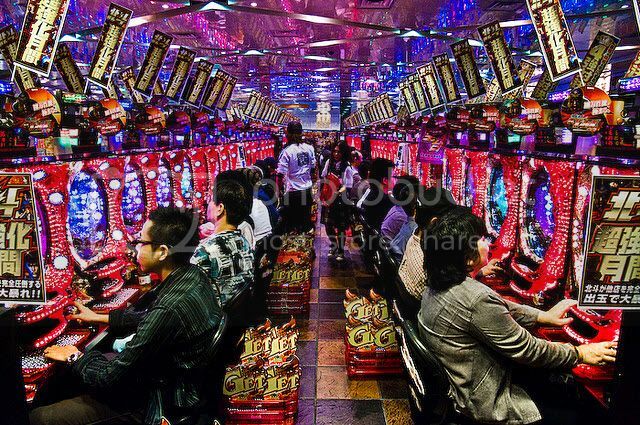 Relationships, marriages, careers have been ruined due to pachinko. That's another thing I don't want to think about. ... wonder if that's how Yukiho learned her hole-digging skills. wonder if that's how Yukiho learned her hole-digging skills. But seriously it's like a slot-machine that never stops spinning and never stops showing you whether you're winning or not and plus you get to watch a cool movie that responds to how well you're playing non-stop it can be crazy addictive. For games like this you can sit there playing through different route after different route and keep going to the atm machine/teller/clerk get more metal balls in your bucket, come back, keep playing and before you know it there goes your rent/tuition/food money for the month. Plus these pachi-slot games are almost never allowed to released in any other medium (exclusive license for the content for pachi-slot) so the only way to see the scenes is to keep putting those metal balls in! Of course now we have things like nico and youtube, but it's likely the Yamaguchi and Sumiyoshi syndicates will assign associates to harassing video sites to make sure those scenes stay exclusive. So when it comes out, any scenes that will be up, be sure to download them! They'll probably be pulled very soon! And maybe some poor うploader is going to get his kneecaps busted or a baseball bat in the face! Pachinko: it eats souls. IMAS fans in Japan prepare to be impoverished! Creepy. Someone should shop some Idolmaster pictures onto the visible screens and seat covers (nonowa would be perfect for the latter). Oh lol. The comments are gold. A pachinko game? Well, not surprised at all. Actually, I was wondering when they would get on with that. I'm just disappointed at the lack of Takane and Hibiki. I mean, it's not like they don't have Cute&Girly costume designs or that they weren't around for 1st vision.